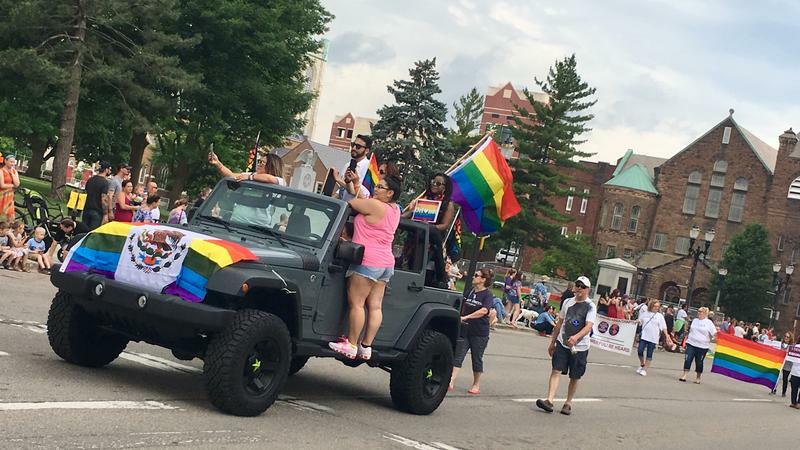 Latinx community jeep during June 2018 Lansing pride parade. Members of Michigan's Hispanic/Latinx communities met in Lansing on Friday to discuss unity of leaders and topics important to the growing community. Lansing School Board Trustee Guillermo Lopez talks with WKAR. Lansing School Board Trustee Guillermo Z. Lopez talked with WKAR's Reginald Hardwick about the LLEAD or Latinx Leaders for the Enhancement of Advocacy and Development conference in Lansing on Friday, October 12. Lopez: It’s a fairly new 501-c3 non-profit organization that’s purpose is to bring Latinos together and help them speak with one voice as needed. Hardwick: Tell me one of the issues you’ll be talking about? Lopez: We want to address the issue of the census for one. The census is very important to everybody. And certainly, the census needs to ensure that Latinos are counted to the extent possible. We know there’s an issue with the census because this year they’re asking a nationality question in terms of in their questionnaire. And we’re also tackling the issue of the LGBT in the Latino community. It’s the first time it’s ever been done in a Latino conference of this nature. We’re going to talk about the media and its impact on Latinos, and how Latinos can use media to highlight their issues. Hardwick: How many Latinos/Hispanics are in Michigan? Lopez: Close to half a million in the various areas of the state. Detroit obviously has the largest population, Grand Rapids also. Holland which in the schools are over 40 percent Latino population. We in Lansing have an 18 to 20 percent Latino population. Hardwick: What is the most misunderstood thing about the Latino community? Lopez: We don’t care. And that’s not true. We care about being involved, sometimes we don’t have the opportunity which goes along with that. We care a lot about what’s going on not only with our community but in general, we’re concerned about education, our kids. We want to provide the best education for one and all. 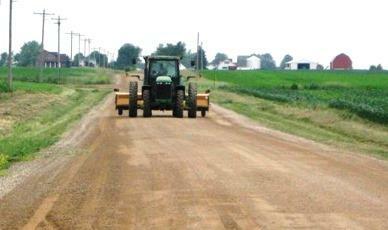 So we have to make our own way and we have to build collaborative efforts with others. What happens in Michigan, outside of Detroit may be, is that Latinos need to have those organizational skills to get elected to office. We have at least 30 elected or appointed officials throughout Michigan – Latinos. We have seven state representatives, we have 8 or 9 school board members; we have 3 or 4 county commissioners. In Lansing, we just elected Jeremy Garza [council member] from the last election. We’re continuing to make our presence known and working with people because that’s what it’s all about. 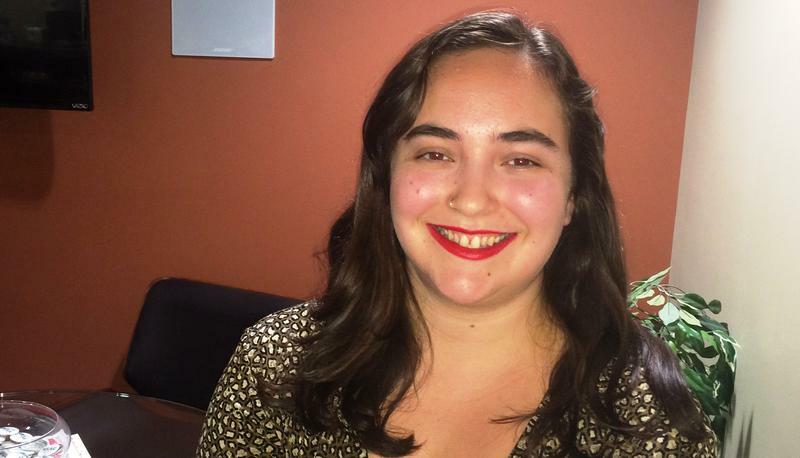 Lansing native, video journalist and public access host producer Patricia Moreno talked with WKAR's Reginald Hardwick about issues facing Hispanics in Lansing. 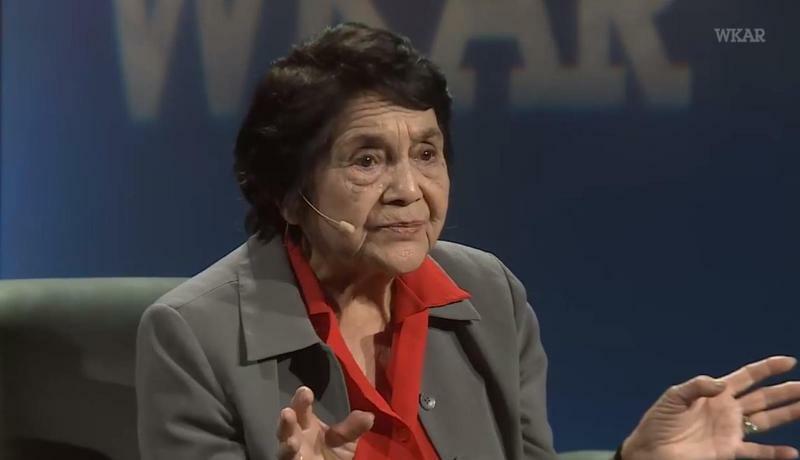 Lansing native, journalist and activist Patricia Moreno talked with WKAR's Reginald Hardwick. This week on All Things Considered, we are hearing from five of your Michigan neighbors of diverse backgrounds their perspective on race and culture. Clara Martinez, an Americore Vista and local dance teacher talked about being both Chicana and white and sometimes being caught in the middle of those two worlds. 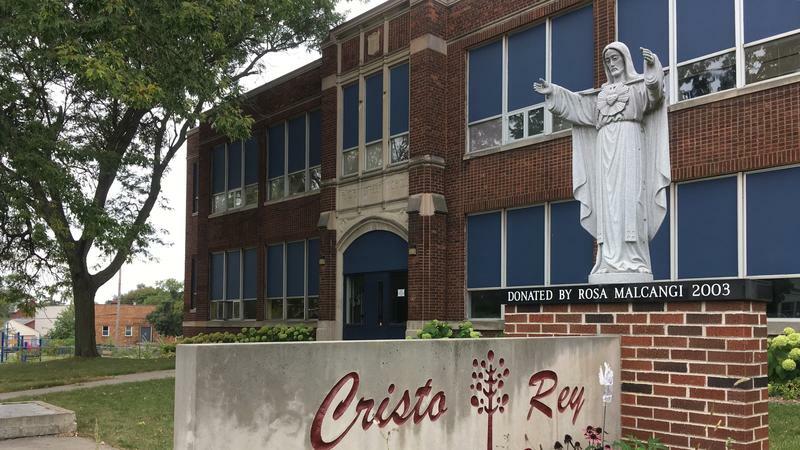 The Cristo Rey Community Center started in 1968 to help out Hispanics on Lansing's north side but now it's helping families of all types with everything from food to health services to counseling and much more. WKAR's Reginald Hardwick visited the Cristo Rey Community Center as part of a profile of Hispanic Heritage Month. 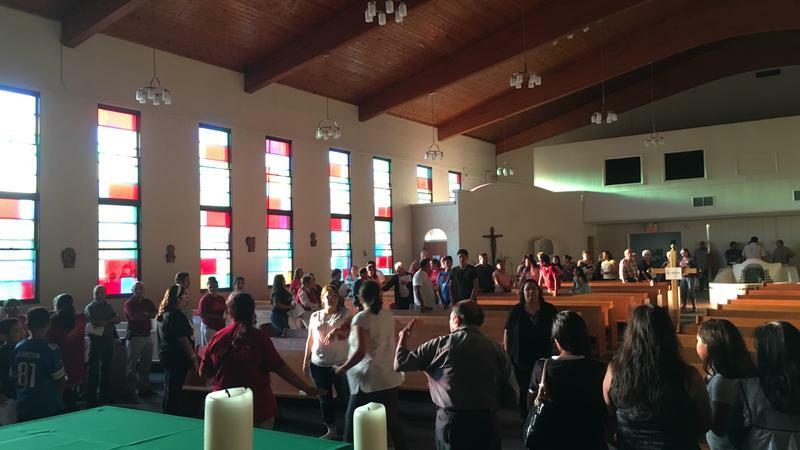 Dozens of Lansing families with roots in regions destroyed by a deadly earthquake and hurricane this week prayed together on Wednesday night. WKAR's Reginald Hardwick reports on prayer vigil at Cristo Rey Church in Lansing on September 20, 2017. Michigan State University will use a $600,000 grant to help Latino fruit growers in the state.